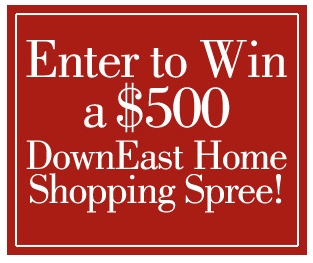 DownEast $500 Shoppping Spree Giveaway! DownEast is giving away a $500 GC! All you need to do is Like the DownEast Facebook page and then fill out the form. They want to know what room you could use the $500 for. :) The winner can select a gift card that is redeemable for home accessories sold online at DownEast so anyone in the U.S can enter! If winner lives in UT or ID you can get an in-store GC! Giveaway ends 12/9. I just went last week and they have a lot of great deals for Christmas! Plus a lot of great home decor items! All opinions are my own. Sponsored post.